In the 1960s, horror sat right down next to the audience. It stopped being about the thing under the bed and became about the person next to you. Films like The Innocents, The Last Man On Earth, Village of the Damned, The Sadist, Village of the Damned, Hour of the Wolf, Black Sunday, Carnival of Souls, Blood Feast, The Whip & The Body and Frankenstein Must Be Destroyed (each equally deserving of a place on this list) tore away at our ideas about the behavior of on-screen evil. It now lurked everywhere, hiding in plain sight. It looked like our friends and neighbors. Its thoughts grew more disturbed and its forces became harder to reckon with. The 1960s are probably the most fertile creative period in all of cinematic history; boundaries were broken and new languages were discovered. Here are some of the films that benefited from a global investigation into the psychological and physical perils of being human, the 10 Best Horror Films of the 1960s. Psycho didn’t just expose America to the potential of the horror film to properly unseat a complacent audience, it changed the way Americans relate to mental illness in pop culture. Norman Bates and his mother were American cinema’s most poignant examples of social unease, and now just the name "Norman Bates" is shorthand for a man with a dark secret. While Hitch's prior work, like Rear Window, The Wrong Man, or Sabotage, opened up the disturbing possibility that the world’s surfaces are lies waiting to be exposed, Psycho redefined how a movie could tell its story, and opened up the possibilities of horror movies for generations to come. Marion Crane (Janet Leigh) steals a lot of money and goes on the lam, stopping for a rest at the Bates Motel. She never checks out. 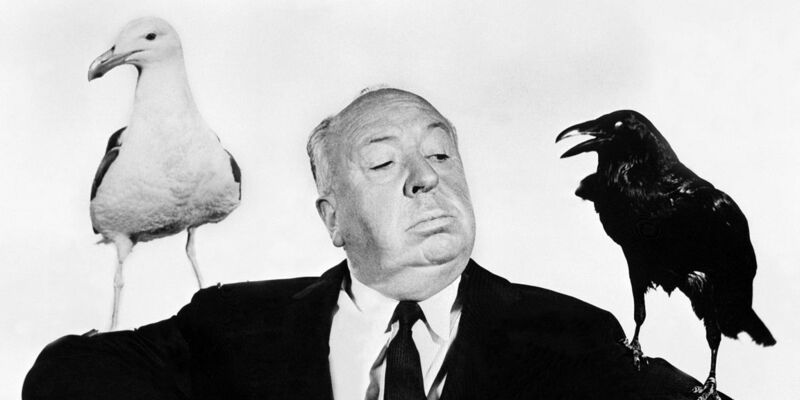 Hitchcock wanted a movie ticket to be a guarantee of having one’s concept of reality altered in the most electrifying way possible. It's not simply the famous shower scene (shocking in 1960) or the movie's infamous twist that gave Psycho its reputation, it's also the way in which horror stories could be told in film. His movies challenged the act of seeing, of understanding what images and sounds tell us. After Psycho he would become more experimental because he had done everything he could with a straight-forward narrative - he had subverted expectations until a traditional payoff would no longer suffice. Psycho killed America’s sense of security in entertainment. Michael Powell’s classic tale of voyeurism and murder was the patient zero of slasher movies. Powell, once on the vanguard of British cinema, made the film while he was on the outs with the national film industry and released it to dismal notices. It’s not hard to see why the public would reject such a film: it gets to heart of the impure motivations in everyone who sat down to watch it. It takes film for what it is - a way to experiences lives and deaths we have no say in. It makes us God while placing us in the safe womb of a dark theater for 90 minutes. Peeping Tom has had its reputation salvaged since its controversial opening, but the naysayers understood something about the brilliantly deviant work. Watching films, especially sexually charged horror films like Peeping Tom in which the camera itself acts as a phallic murder weapon, is a fundamentally unnatural way to spend your time. Powell, who gave us entire fantasy worlds for his audiences in movies like The Tales of Hoffmann, A Matter of Life And Death, Black Narcissus and The Red Shoes, knew that movies were a tool of the devil - and he invited everyone to sweet damnation with open arms. Surgical horror, body horror, identity crisis horror - they all begin in earnest with this terrifying film from Georges Franju. Seizing upon a rich vein of philosophical, psychosexual writing and grotesque scientific blood-letting in movies like Murders in the Zoo and Torture Ship, Eyes Without A Face created a whole new identity for gallic horror that’s still being referenced (highly lauded Austrian shocker Goodnight Mommy is only the latest to pay it lip service). Franju’s unsettling masterwork concerns a woman (Edith Scob) who has lost her beautiful looks in a car accident. Her father (Pierre Brasseur), a surgeon, tries to help get them back by any means necessary. Namely, by abducting local girls and stealing their faces to stitch onto the poor girl, who hides behind a mask in the meantime. Guilt is the subject here, and the mortification of flesh becomes a release for feelings of culpability. Characters scratch at itches that will never be satisfied, leaving the infected sights bloody and infected. David Cronenberg, Brian Yuzna, Stuart Gordon, Leos Carax, Nacho Vigalondo, Billy Idol and Jesus Franco are just some of the film’s disciples, and there's always room for one more. A splendidly old fashioned ghost story, The Haunting knows exactly what to do with its lavish studio budget. Practical effects mix with an atmosphere of suggested malevolence (director Robert Wise studied under Val Lewton, the undisputed master of cinematic ambiance) and it all culminates with a spiraling descent into madness. There are four free spirits at the center of the film who agree to spend some time in a supposedly haunted house in order to study the effects of an evil environment on human behavior and vice versa. What’s marvelous about the film is that it won’t commit one way or the other to explaining the phenomena affecting its characters. Are they being imagined by one of them, the doe-eyed Eleanor (Julie Harris), or is she drawing them out of the house? The gray area in which the film deposits its visitors is much more frightening than any concrete answers it could have supplied. Wise makes it clear that his interest is in the human mind and the ways it can get carried away once it latches onto an idea: romance, property, supernatural forces. Wise brings us to this discovery with a few jaw dropping sequences (a scene with a pliable door is still one of the most frightening things in all of film). After experimenting with how the structure of a horror film can affect its audience with Psycho, Hitchcock decided to subvert the horror genre by holding back on any extraneous elements. The Birds features no music, no analysis, no explanation of the events or the characters, it's just a quick swim in stormy waters. Melanie Daniels (Tippi Hedren) wants to play a prank of charming mama’s boy Mitch Brenner (Rod Taylor) by bringing two love birds up from San Francisco to his mother's house in the coastal town of Bodega Bay. Along with her big city amorality, she also evidently brings a freak natural perversion. Birds begin attacking and killing the people of Bodega Bay left and right. Its blankness - no cause given for the aviary menace, no special emphasis on their arrival - allows viewers to fill in the meaning themselves. The Birds will never lose its power to beguile and remains a singularly bewitching, disconcerting experience all these years later. There are dozens of superlative Japanese horror films in the 1960s (Kwaidan, Jigoku, Kuroneko) that could sit comfortably on this list, but there’s something arrestingly primal about 1964’s Onibaba that makes it feel essential. In 14th Century Japan, two women (Nobuko Otowa and Jitsuko Yoshimura) make a living by killing deserting soldiers and selling their weapons and armor while they wait for their breadwinning companion - a son to one woman and a lover to the other - to return from the war. Instead, they get his no ne'er-do-well friend Hachi (Kei Satō). When the younger woman decides to stop waiting for her intended to come back and takes up with Hachi, it sends the older woman into a jealous fury. The arrival of a deserter with a terrifying mask gives her a nasty idea about how to settle accounts with the devious philanderers. Onibaba is a text book case of less is more. Its opening half hour is devoted to placing its characters in a sea of wild reeds surrounding their homes. There’s a serenity, however fleeting and dishonest, to the fields that enclose them. The calm is thus easily and forcefully broken by the slightest intrusion, making simple things truly terrifying. Director Kaneto Shindô was one of the great figures of the Japanese New Wave and he understood dynamics better than almost all of his peers. It’s quiet that frightens and compels, not noise. Quiet creates expectations that, when broken, send shivers down the spine of a viewer conditioned to expect certain things from a narrative. Onibaba jangles the nerves and feasts upon our very human drives and sympathies. Though the excellently realized and quite spooky Rosemary’s Baby is the horror film Roman Polanski is best remembered for, his earliest genre film is actually his definitive statement on the torments of human existence. Repulsion finds a virginal Carol (Catherine Deneuve) left to unravel in a cramped apartment in a strange city. A French woman sharing a flat with her sister in London, everything about her mousy demeanor suggests that she's too fragile for her own good. When her sister leaves her alone for a few days, Carol's mental health deteriorates with alarming speed. Phantom arms break through the walls to catch her, strange men lie in wait to assault her, and every new human face announces a hazardous encounter waiting to happen. Rosemary’s Baby captures the terror of motherhood; Repulsion zooms out a little to expose the frightful business of being a woman in a masculine world and brings all the horrors of the outside world into the supposed safety of the home. In Night of the Living Dead, Season of the Witch, Martin and Dawn of the Dead, director George A. Romero gave American horror films a social conscience that it’s never lost - and in the meantime, he created the modern zombie. These films were Rorschach tests. Sure, Romero claims it was convenience that led him to cast black actor Duane Jones as the lead in his film (which might be true - he is plainly the best actor in the cast), but that coincidence gave the film a lasting impact. Jones is tasked with not only avoiding the flesh-eating undead, but also the local rifle-wielding yokels who are his would-be saviors. Romero was a working class filmmaker - a regular guy whose interest was in other regular guys - and he brought working class issues to the fore through horror. His zombies are the rampaging prejudice of America’s bigoted majority and they separate the socially conscience living from those who are just zombies-in-waiting. His later work would become more overtly political but there’s a raw, furious undercurrent that keeps the perfectly bleak Night of the Living Dead vital and frightening no matter when you watch it. Vincent Price was horror’s gentleman emcee. He invited you to sit down, take off your coat, and let the films scare the rest of your clothes away. His honeyed timbre was unmistakable and his elegance impossible to hide no matter how thick and imposing the make-up. He could make a story about rats trapped in a wall sound like the sweetest thing on earth. So it’s most impressive that director Michael Reeves found a genuinely sinister performance under that elegance and easy grace. In Reeves' final film, Price plays Matthew Hopkins, the Witchfinder General, the Conquerer Worm (as the film was called abroad), a man sent to cleanse England of its nascent witch problem. A god-granted authority keeps him upright as he gleefully plunges into his despicable task. His sureness and suavity morph into a repugnant absolutism, and his quest to purify England once and for all is gripping and repulsive in equal measure. Reeves died tragically young after completing Witchfinder General, but he left us three great works to remember him - pleasantly grotesque The She-Beast, breezy, psychedelic froth The Sorcerers, and the unrelenting Witchfinder General, the greatest argument for empathy and rationality horror movies will ever need to make. Guillermo Del Toro and Alejandro Amenábar have both taken rather large pages from this elegant Spanish offering. A new girl (the fabulous Cristina Galbó) enters an all-girls boarding school under the care of a no-nonsense matron (Lilli Palmer) and immediately discovers something nefarious hiding on the grounds. Sometimes called The House That Screamed or Finishing School, La residencia is one of the earliest and best examples of horror films about the complex ecosystem of a student body infected from within. Director Narciso Ibáñez Serrador gets every detail of the creaky old school exactly right. The place would be creepy enough without a nightly visit from a murderer, thanks to the expressive, meticulous production design, Serrador’s marvelous direction and Lilli Palmer’s hawkish head of school, all of which serve to cultivate an atmosphere of fear and uncomfortable lust. This is the definitive high school horror film and it's ripe for rediscovery. What are your favorite '60s fright films? What do you happily surrender your nightmares to? Is black and white scarier than color? And tune in next when we take on the chainsaw murderers, extraterrestrial monsters and Canadian body-horror in the 10 Best Horror Films of the 1970s!